In the next few weeks, as Vermont Gov. 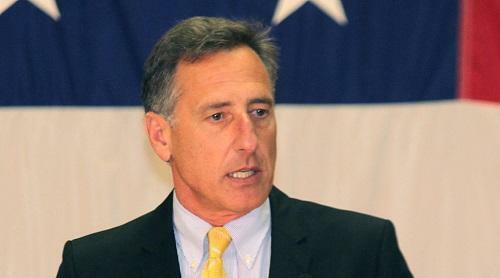 Peter Shumlin nears the end of his time in office, his state could make history. If he has his way, Vermont will become the first state in the union to legalize marijuana through its legislature. The four states that have already legalized recreational pot—Colorado, Washington, Oregon and Alaska—all did so by taking the issue to voters through ballot initiatives. The Vermont Senate passed a marijuana legalization bill in February and it is currently being debated in the House. TIME spoke to Governor Shumlin, a Democrat, about the war on drugs (“failed us miserably”), what he’s learned from other states (“no edibles”) and his personal experience with marijuana (“we inhaled”).